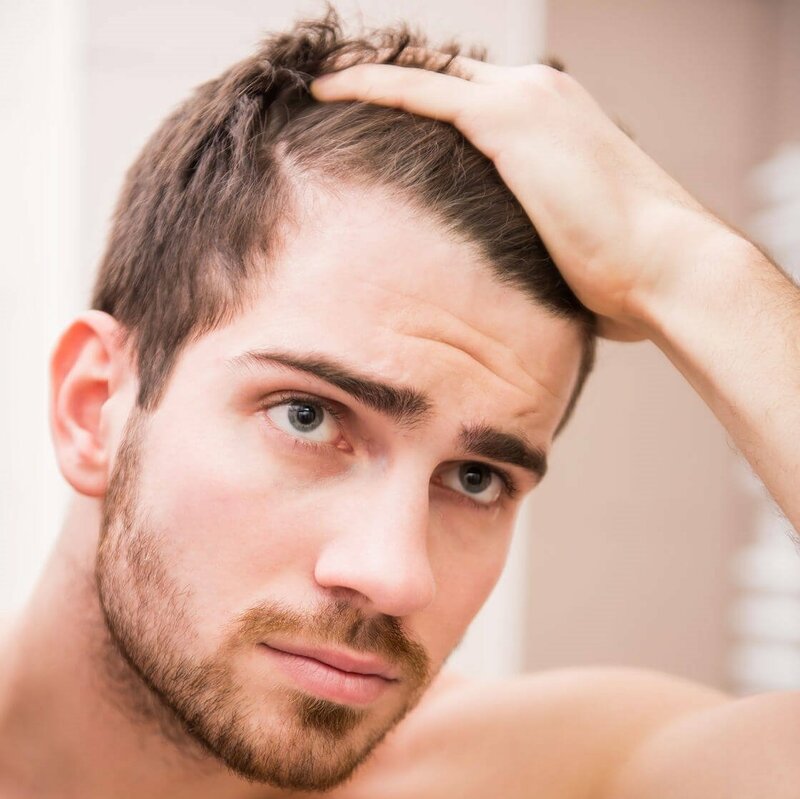 Male pattern baldness is one of the most common hair loss problem men face. Although it usually manifests itself in men around 30 years of age and above, it can start in men as young as 20 years old. This condition can be caused by bad genes, physical trauma, stress, and invasive medications. No matter the cause, you should seek treatment as soon as you notice that something is wrong. 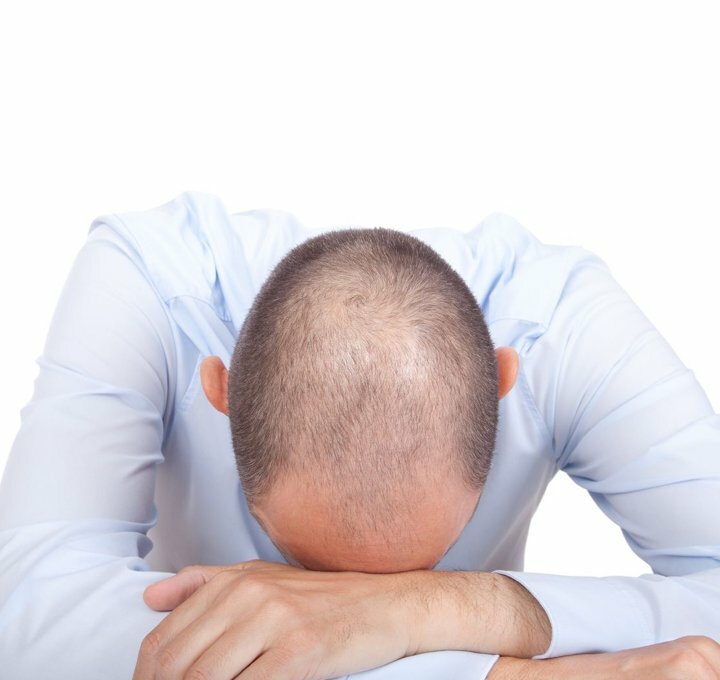 Male pattern baldness may happen to males of different ages, but they have several similar symptoms. If you suspect you may have male pattern baldness, please take action early! Time is of the essence, especially when it comes to slowing down hair loss. Basically, your hair starts thinning quickly from your crown. In most men, this forms an M-shaped hairline that gets worse as they age. If this remains untreated, the M-shape will turn into a horseshoe-shape as you start to lose hair from your temples as well. 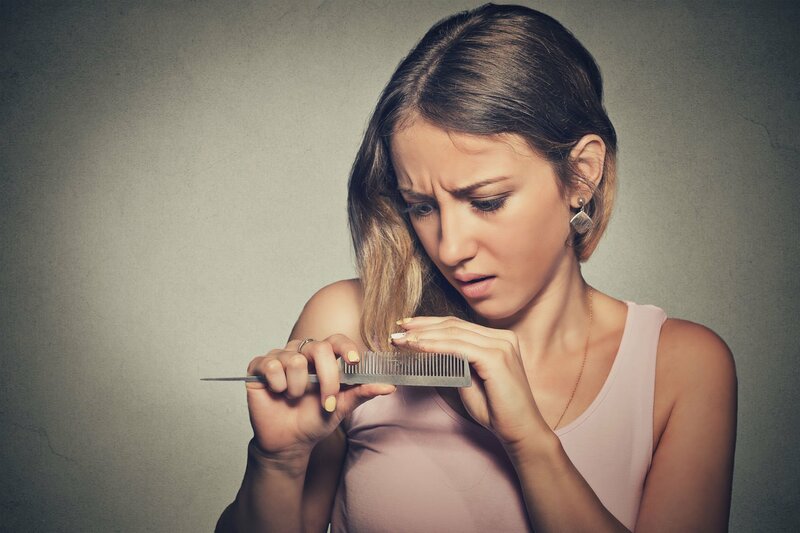 Other types of hair loss usually involve losing hair in equal amounts in nearly all parts of your scalp. With male pattern baldness, the only affected areas are your crown and your temples. The hair on the sides of your head doesn’t fall as quickly as those on your crown and temples. Do you wake up in the morning and notice clumps of hair on your pillow? 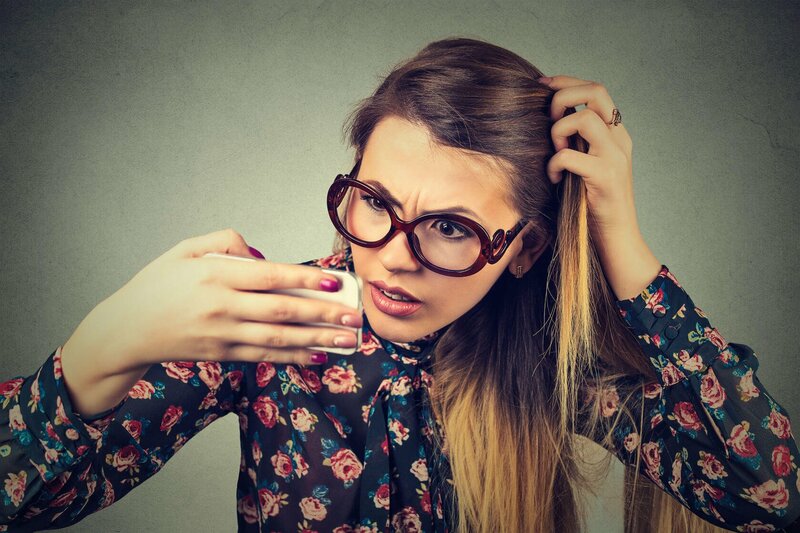 Do you take a shower and notice more hair is falling out than usual? It’s highly likely you are experiencing the onslaught of male pattern baldness. As your hair starts to thin, the scalp becomes more exposed to pollutants in the environment, as well as UV rays from the sun. As such, you might experience itching when you haven’t before as your scalp is now less protected. 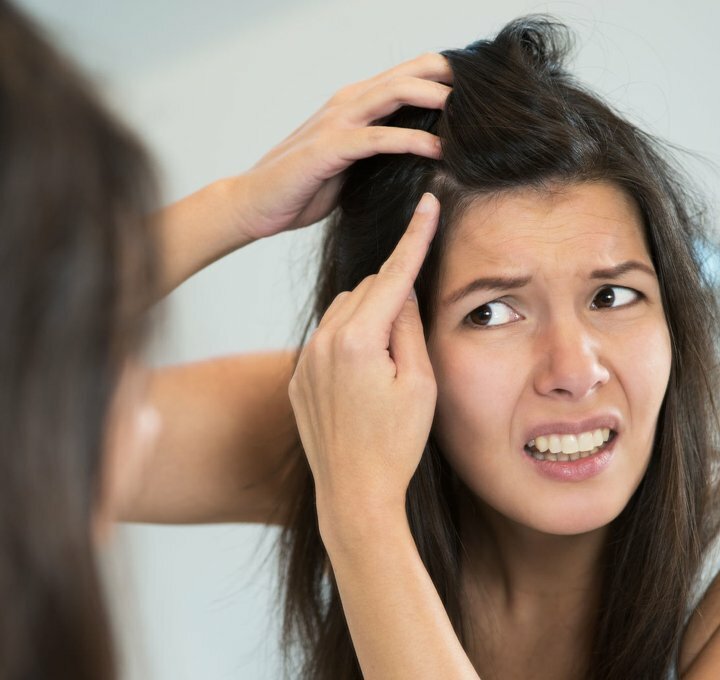 When your scalp becomes itchy and flaky, your hair falls out more quickly as your scalp’s health has been compromised. Male pattern baldness slows down or prevents the growth of your hair. 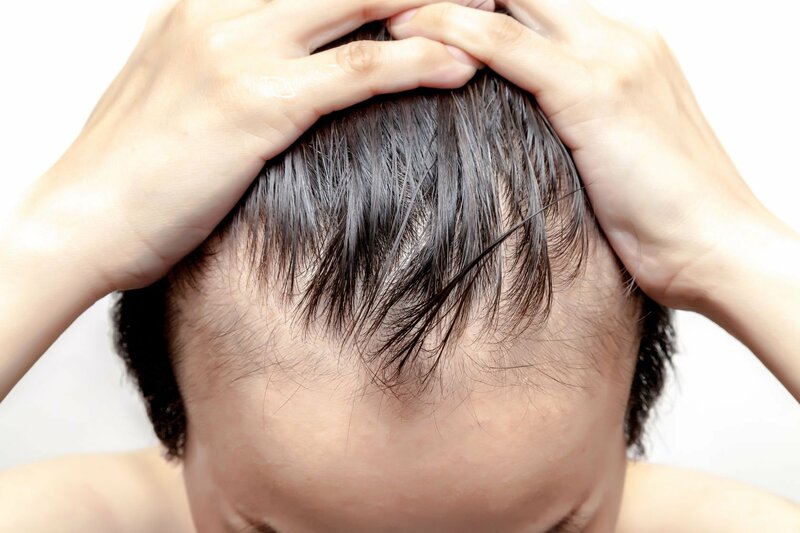 Your hair follicles get starved of essential nutrients and minerals, thus disrupting your hair growth cycle, lowering the rate of hair growth or even stopping it altogether. This is basically the process that advances male pattern baldness. When male pattern baldness sets in, your hair gradually thins and starts falling off. You will also notice your hair turning wispy and dry. Not only that, your hair strands may also become coarse and brittle, eventually losing its vitality. So if the front of your hairline around the temples and forehead seems to be getting thinner and wispier, then this is fairly typical for male pattern baldness. These are the signs you should look out for if you’re at risk of developing male pattern baldness. The good news is that with prompt and proper care, it is possible to mitigate the devastating effects of male hair loss. Here at Jonsson Protein, we have developed a solution that tackles the root of the problem. 91% of your hair is made out of protein, thus our solution focuses on replenishing the protein content in your hair, as well as keeping both your hair and scalp healthy. Hair health and scalp health are inexorably intertwined – if your scalp is unhealthy, your hair will eventually follow suit. If you are suffering from male pattern baldness or other hair and scalp problems, call us for a personalized consultation. Our protein-based solutions are customized for your exact condition and physiological needs, in order to give you the best results.